We work with retailers that are no longer willing to spend time sending generic, unpersonalised emails to their entire email list —over and over again. 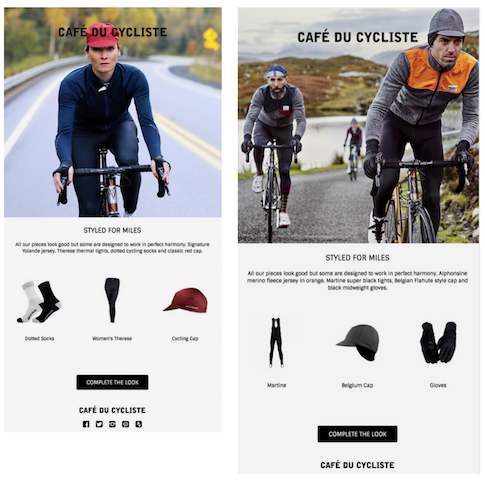 Nice-based cycling apparel brand Café du Cycliste is one of those brands. Here’s a glimpse into their journey with us so far. 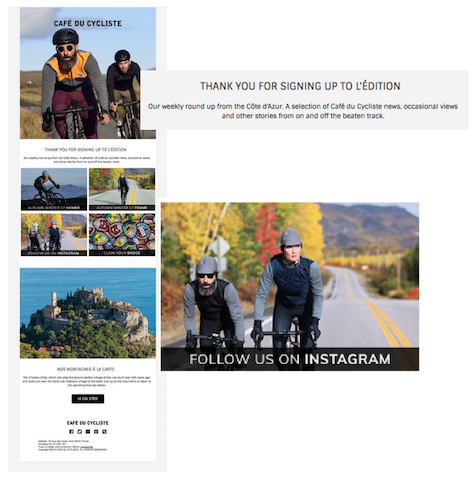 Pre-Ometria, Café du Cycliste’s email marketing consisted mainly of sending one-size-fits-all messages to its subscriber base. 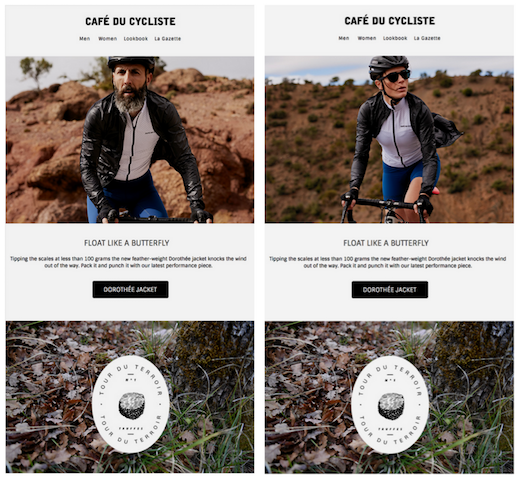 But, for a brand offering high-quality, technically brilliant cycling apparel, it wanted an email marketing strategy as sophisticated, impressive and bespoke as the product it was offering—one that could consolidate all of its customer data into one place and use it to personalise correspondence. … Problem was, the brand was limited by its technology at the time, and was unable to incorporate the behavioural data necessary to create bespoke emails. 1) A programme of advanced automated campaigns across the customer journey, including: a personalised welcome campaign based on the channel the recipient came through, a ‘complete the look’ post-purchase campaign with lifestyle imagery and recommendations based on the individual customer’s taste profile, personalised cart and browse abandonment campaigns and, finally, customer ‘win-back’ campaigns. 3) Targeted emails to specific customer segments—for example, those who had shopped in its London store—with relevant content. The secret to Café du Cycliste’s success is its forward-thinking mindset. The brand detected early on the need to (a) develop a natural rapport with customers, treating them like individuals instead of numbers, and (b) focus on long-term growth, not short-term wins. We’re extremely happy that Ometria has helped the team with this so far, and look forward to the exciting journey that still lies ahead.